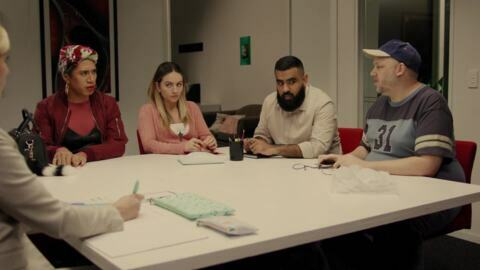 What happens when you put a group of everyday kiwi misfits together in a te reo Māori class? Catch the comedy series with a big dose of culture at its most ridiculous. Available to On Demand viewers worldwide. (AO) Hongi: Nehmet’s secret is out – and he gets more than he bargains for from a hongi with Pristina. (AO) Koha: Nehmet gives Barry a koha when his choc-box is stolen. (AO) Waiata: Haami is appalled when his waiata class is disrupted by a taniwha, mother of Hihi. Annie tries to channel her inner-kahurangi when her husband dumps her. (AO) Whaikōrero. 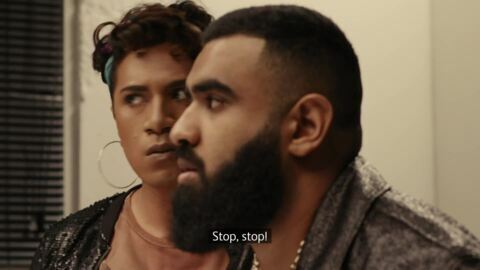 Annie and Sonny bond when his whaikōrero is cut short by bad news. Meanwhile, Nehmet can’t find his voice with Mia. (AO) Karanga: The discomfort of Haami at teaching karanga is intensified by Annie and Pristina’s determination to be picked as the Karanga Queen of the Kura. (AO) Wero: When his power is cut due to unpaid bills, actor Haami Samuels (Maaka Pohatu) gets a job teaching a group of unlikely misfits at a kura pō.